Chris Gilbert enters his third season with the Sacramento Kings and second as the team’s Scouting Coordinator after previously serving as Basketball Operations Coordinator in 2013-14. In addition, Gilbert enters his third season as Assistant General Manager of the Reno Bighorns, the Kings hybrid-affiliate in the NBA Development League. 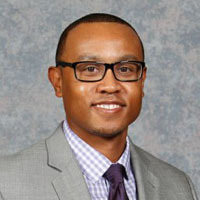 In his current role with the Kings, Gilbert oversees all aspects of the team’s scouting department, including college scouting, scheduling and communication as well as related data management. He also assists in all aspects of the team’s day-to-day basketball operations. With the Bighorns, Gilbert supports in all aspects of the team’s basketball operations, including player personnel evaluation, scouting and player matters. Prior to joining the Kings in 2013, Gilbert spent eight years with the Golden State Warriors organization in a variety of capacities. A native of Lafayette, California, Gilbert earned a Bachelor of Arts degree in Business Management, Economics from the University of California, Santa Cruz, in 2005, where he was a four-year member and two-year co-captain of the Banana Slugs basketball team.